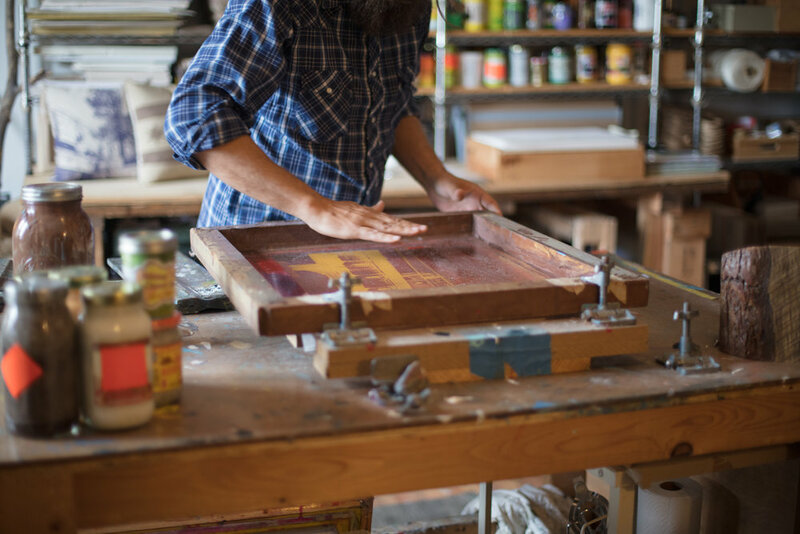 Zerobird is a screen printing and design studio located in the historic Feather Loft building in Chicago’s West Town Industrial Corridor. Run by the husband and wife team of Jennifer Burak and Dan Spielman. We make extremely efficient use of the 18’ x 18’ space where we do all our designing, file prep, screen exposure, printing, sewing and packaging. All prints ( paper, tshirt and fabric ) are hand pulled using water based inks and soy based solvents. Our equipment is mostly handmade using salvaged materials - the tables were even built from torn down walls in our old studio. We also enjoy embracing traditional printing methods whenever possible, including Rubylithe transfers. View all our available services here. The name Zerobird is a tribute to the Jordans. Two wonderfully unique lovebirds that were cherished for many years. Jen and Dan now have two lovely cats; neither of which ate the Jordans.